Aston Martin has celebrated its 100th anniversary with a series of events, culminating in a dinner for 550 people at Kensington Palace. The Aston Martin Owners Club (AMOC) event took place on Saturday (20 July) and, in honour of the landmark date, 100 iconic Aston Martins were parked in chronological order along Kensington Palace’s Broadwalk. 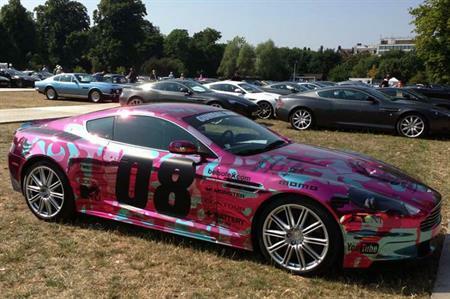 On the lawns in front of the Palace, 25 Le Mans cars and all the Aston Martins used in the Bond films over the past 50 years were displayed, helping to tell the brand’s story and influence on popular culture, from 1913 to the present day. Guests were welcomed with a champagne and cocktail reception with canapes served on themed trays including hub caps and scrolls of locomotive blueprints. The catering was provided by Moving Venue.